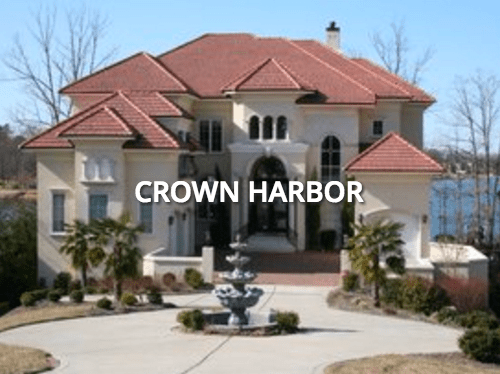 Crown Harbor is a lovely, laid-back and family-friendly neighborhood situated in the town of Cornelius, NC. Our community is unique because it is the only residential community on the lake to have its own dry dock storage unit and marina. The town of Cornelius maintains its “small town feel” while being just 18 miles north of Charlotte. A boater’s paradise, Lake Norman laps at the beautiful shoreline properties of many homes in Crown Harbor and it provides recreation and water sports during our warm months that generally last from March all the way to October. Homes range in price from the $300’s to $1M+!